CulourTek™ Creations & Resurfacing: Benchtops, Partitions, Doors by ISPS Innovations We supply Australia wide, factory direct. Create your benchtop, partition or a door space in your desired colour. ISPS bring you an unlimited colour range. Adelaide built, nationally delivered. ISPS CulourTek™ creations add a superfluous element to any room. An appealing surface and amalgamation of grain efx stone flicks and grained radiance, paired with modern straight lines continuous length and right angles with the option of no joins with our benchtops. CulourTek™ creations unquestionably makes the consciousness come alive with our unlimited eye-catching finishes and colour options. Our textured EFX create supreme depth and delivers an astonishing look to your specification and colour request. Or create a look with our unmatched colour techniques and warranties. CulourTek™ augments the exquisiteness of upright partitions, straight benchtop panels and doors, contributing options other than timber looks or straight polyurethane finishes. 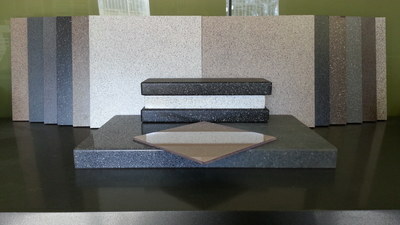 While CulourTek™ displays the touch of satin velvet face it offers a hard wearing surface suitable for any environment. All CulourTek™ creations are available in any flick with an unlimited selection of colour bases that are custom made to your colour base, flick and shade. ISPS Innovations Colour Palette, is only one of its kind, a textured surface that integrates the colours of your environment seamlessly through our innovation. Each level of of finish offers a spectacular choice of finishes. Textured is the most robust. ISPS surfaces are durable, and trouble-free to clean and maintain. ISPS provide a 12 Year limited warranty and a recolour service offering a further 12 years to your benchtop! 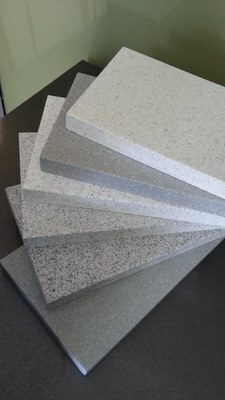 ISPS can also use our same CulourTek colour technology on kitchen & benchtop resurfacing. Imagine then create your designs and bring to life with ISPS Innovations CulourTek™ Creations where ever surfaces reside. 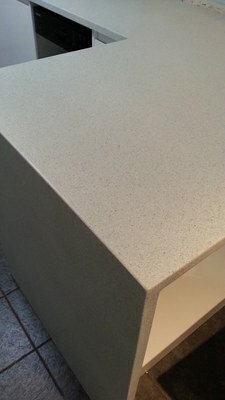 When using your benchtops it is advised to use a chopping board and not to apply staining products on the surface base. All products can stain including laminates, Acrylic Benchtops, Marble or Stone. The following materials like turmeric, curry or flowers with ink staining properties is a primary example,. Do not use bleach to clean culourTEK this is a durable hand made finish. Call ISPS if in doubt. Wash CulourTek with warm soapy water. Please note: Unlimited lengths reflect our Benchtops only. 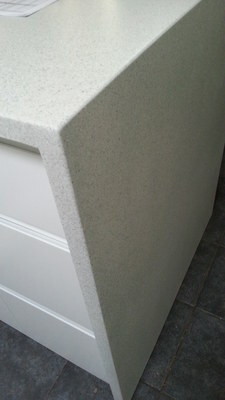 ISPS will fit sinks into Benchtops, please enquire. Partitioning sizes are 2440 x 1220 sheet only. Doors in high gloss, satin or textured finish. Doors 12 year warranty, Benchtops 12 Year limited Warranty. Enquire about our extended warranties. CulourTek Benchtops carries a 12 year structural warranty, this covers you from delaminating. CulourTek benchtops can be re-coloured a different colour years down the track if you decide to change you decor colour in your home. Only Clean wilth warm soapy water. Do not use bleach or acetone. NEVER LEAVE COOKING UNATTENDED, ISPS INNOVATIONS WILL NOT COVER PRODUCTS THAT HAVE BEEN NEGLECTED. When using your benchtops it is advised to use a chopping board and not to apply staining products on the surface base. All products can stain including laminates, Acrylic Benchtops, Marble or Stone. The following materials like turmeric, curry or flowers with ink staining properties is a primary example,. Do not use bleach to clean CulourTEK . CulourTEK is a durable hand made finish but requires care and proper cleaning methods. Call ISPS if in doubt. Wash CulourTek with warm soapy water. You can remove most spice stains with vinegar and sponge. Do not put hot pans on the benchtops. Ensure that benchtops are covered when spraying toxic coatings in domestic or commercial environments, leave benchtops covered until areas are fully cured from vapour release. ISPS innovations do not cover for staining, burn marks or mistreatment. On CulourTEK benchtops Frying pans must sit within the parameter of the cooktop, not extend over the benchtop. This can cause damage to benchtops or wall from excessive heat. Ensure you cooktop is installed by a licensed gas fitter or electrician and follow cooktop installation instructions. Invoices not paid in full will void all warranties on products.Choosing colours. ISPS Innovations ask that you choose colour carefully. ISPS can provide a colour samples of your chosen product once comitted to the order and this is paid in full. Postage and handelling fee may apply for samples to be sent out. ISPS Innovations invite you to take up this offer. ISPS can not be held resposnible for wrong colour choice or colour direction. ISPS work on colour tone not exact colour as this can be altered depending on the substrate it is applied to.NEVER LEAVE COOKING UNATTENDED, ISPS INNOVATIONS WILL NOT COVER PRODUCTS THAT HAVE BEEN NEGLECTED.